The Congregations of Shaare Shamayim, 9768 Verree Road, decided to celebrate Hanukkah in a unique and tasty way last week. 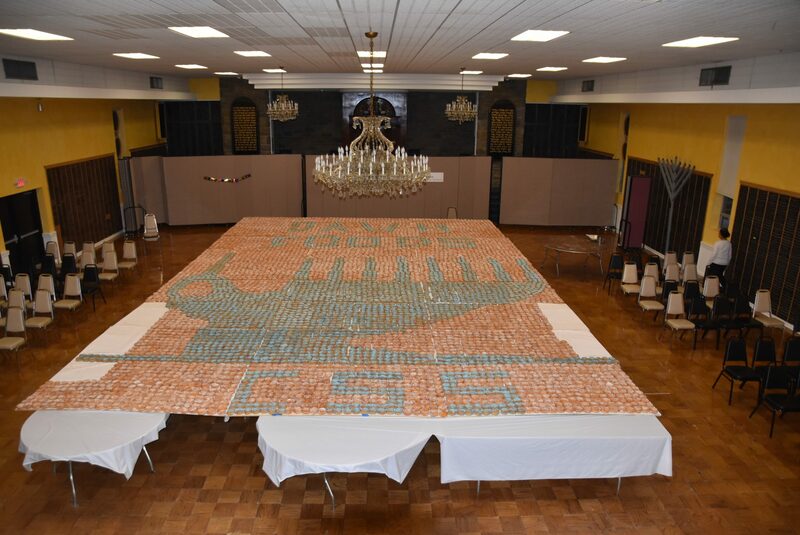 In an attempt to break a Guinness World Record, congregants at the synagogue on Dec. 5 prepared and laid out more than 8,000 jelly doughnuts to create a mosaic of a menorah. Doughnuts have a special significance to Hanukkah because they are fried in oil. Jewish people traditionally eat fried foods during the holiday to commemorate the miracle of the oil when one jug kept the Temple menorah lit for eight days. 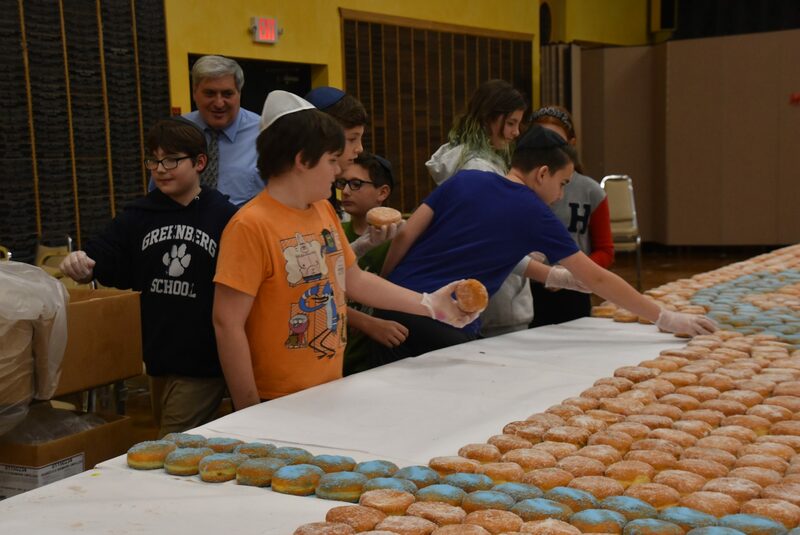 The doughnuts were provided by Dawn Foods, and volunteers began heating them up and rolling them in sugar in the synagogue’s kitchen around 9 a.m. ahead of the event at 6 p.m. They used 250 pounds of sugar, Lurie said. Currently, the Guinness record for largest doughnut mosaic belongs to a festival in Ukraine, which assembled 7,040 doughnuts in 2012. “We thought we needed to significantly beat that,” Lurie said. Synagogue officials will be submitting paperwork to Guinness to get in the record books. It’s not the first time Shaare Shamayim has hosted a food-based stunt. Lurie said the synagogue once broke the record for the largest hamantash, a triangle-shaped pastry, by creating a 600-pound version of the treat, which is associated with the holiday of Purim.